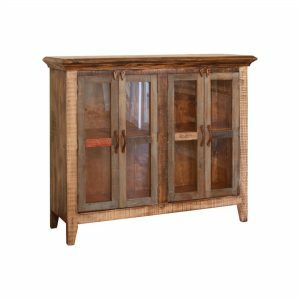 CORRIDOR CORNER CABINET is two compartments wide and has tapered rear panels, allowing it to perfectly fit either into a corner or flat against a wall. 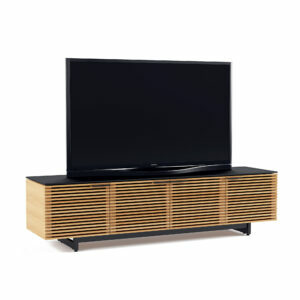 The two louvered doors open to reveal a compartment with an adjustable shelf, allowing to accommodate a soundbar speaker and a range of electronic components. Note that this Corridor model does not include wheels. 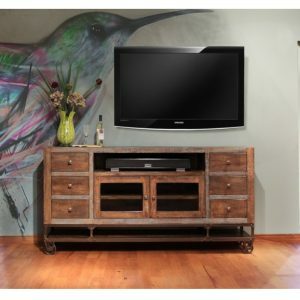 BDI Model: 8175 Overall Dimensions: 50.25" W x 20" D x 25" H. Recommended TV Size: up to a 55" TV. Arena TV Mount Compatibility: 9972 (base of mount will be visible). Component Capacity: 5–8. Adjustable Shelf Increments: 1.25 in; 4 positions. Top Shelf Capacity: 175 lbs. Weight: 140 lbs.